Dr. Yvonne M. Villarreal (Doc V to us all) is a Board Certified Family Physician who is also Board Certified in Integrative Holistic Medicine. 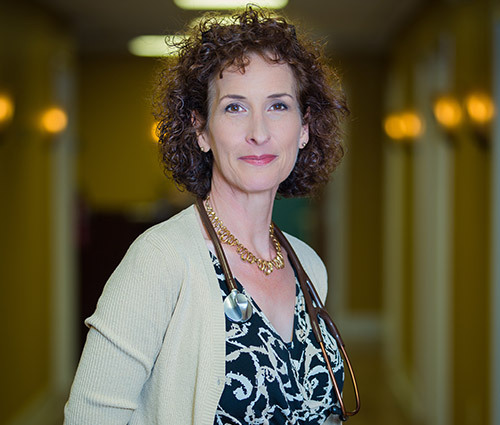 She has been practicing family medicine and preventive care in the Stafford area since 2001. She received her medical degree from the University of Arizona College of Medicine where she studied under Dr. Andrew Weil, MD, world-renowned for his theories on and practice of Integrative and Complementary Medicine. Dr. V served in the United States Navy from 1993 until 1997 as a Naval Flight Surgeon to the USMC helicopter squadrons in Kaneohe, Hawaii. She is also a residency graduate in Family Medicine from the University of Hawaii, John Burns School of Medicine in Mililani, Hawaii.